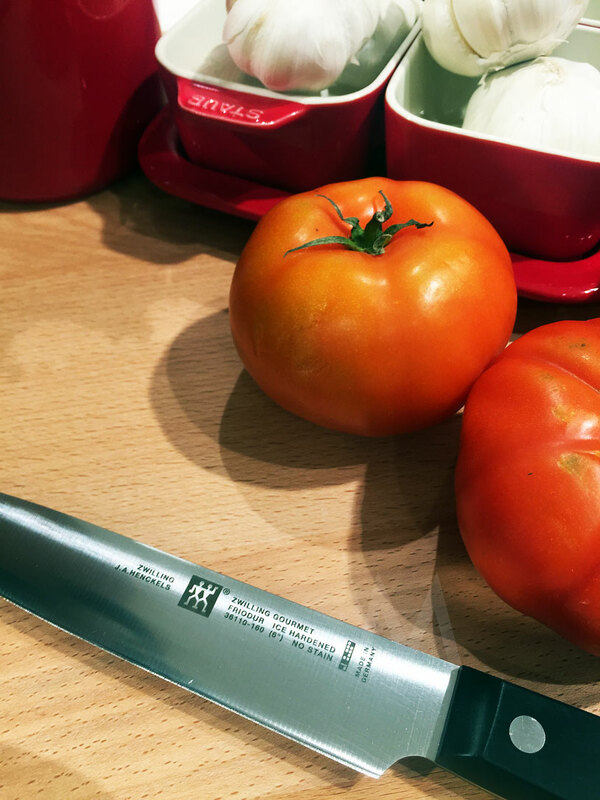 I got introduced to Zwilling while I was still slaving in the kitchen of the Peninsula Manila. By the way, I enjoyed that stint, however brief. The executive chef told me that he never travels without his Zwilling knives. It has become more of a habit for him than a need, really. I thought he's one of those knife crazy people who found a way to legally carry knives. But looking back, I don't think he was, though. He probably just loves his Zwilling set. Anyway, aside from adding citric acid to food that lacks salt, he gave me a piece of advice that turned out to be really helpful. He said that I should look for an excellent all-around kitchen knife, take care of it, and marry it if I have to. Also, to never, ever share it with others. I was very young. I cared more about getting a killer pair of sneakers than a knife. So, I did the next best thing: I asked my mom if she could buy me one Zwilling chef's knife to start with. As it turned out, she had a couple at home. So like any other good kid, I nicked all those. Zwilling J.A. Henckels - a German brand that's synonymous with superb craftsmanship - recently opened their first standalone store at the Lower Ground Floor of SM Megamall's Building B. As expected, the place is filled with their best-in-class cutlery sets and individual pieces. 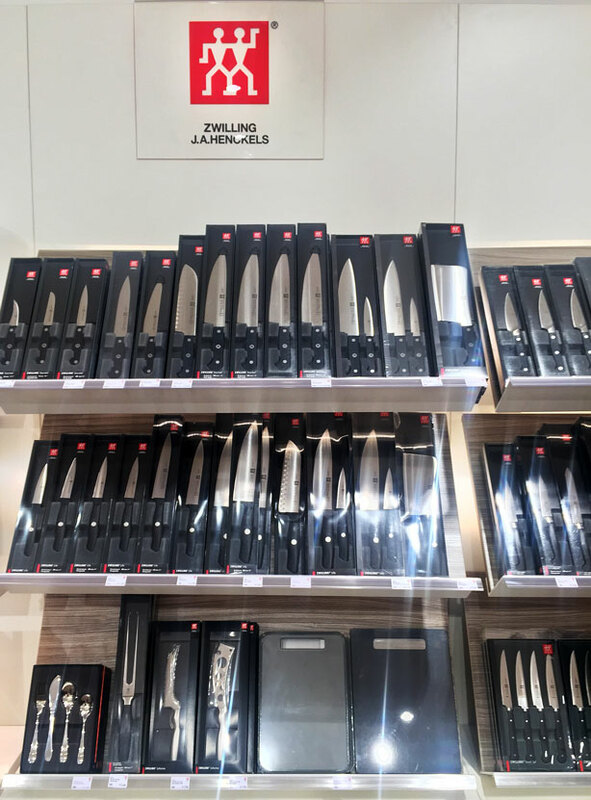 Yes, the Zwilling J.A. Henckels Pro's there, the forged series, Miyabi premium series, and so much more! You can even choose based on your ideal knife weight. I personally like slightly-heavier-than-usual knives. I also like knives that are made for tough jobs like chopping the bones of the people I hate. Just kidding. Seriously, I like knives that won't crack under pressure, literally. Experts say that the difference between German knives and Japanese knives - like Takamura - is that the former is built to cut through concrete. That's an exaggeration, of course. But you get what I mean. 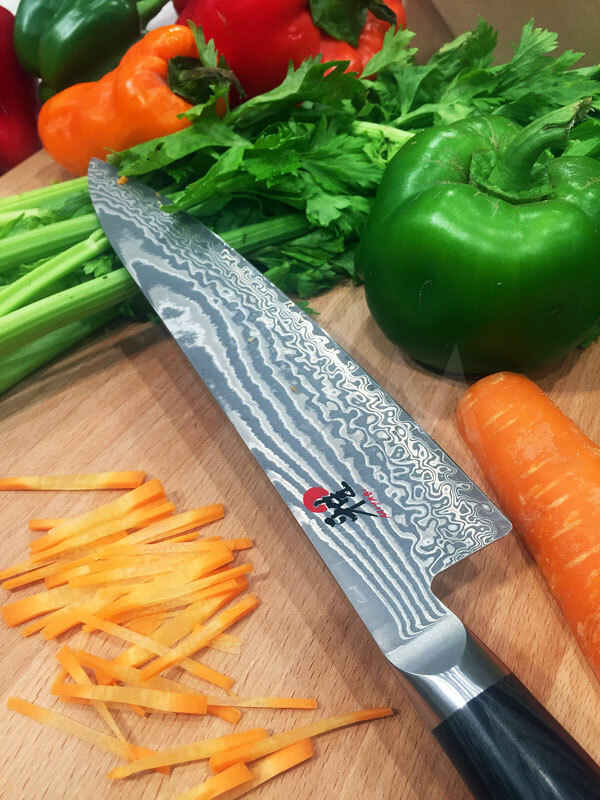 "A knife for life" is one of Zwilling's mantra. I don't know how the company profits if most of the purchases are practically one-offs since the products are built-to-last. Whatever. 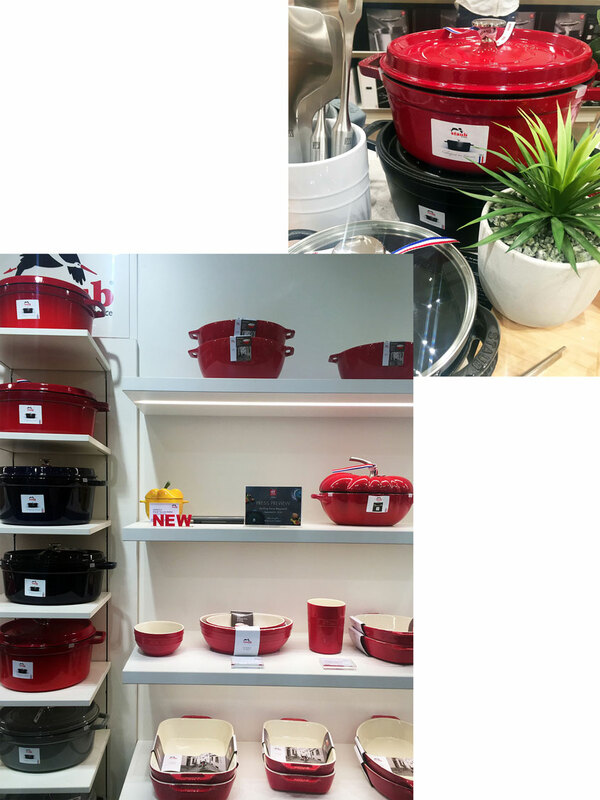 I think companies like Zwilling is great for us consumers. This is what I meant when I said "and more" a while ago. Staub! Those who want to upgrade their kitchenware to this beloved brand can check out the highly-tempting Staub products at the Zwilling J.A. Henckels, SM Megamall. I don't have a single Staub, so I really don't know how they fare. I got a few Le Creuset during a super-sale years ago. Online reviews show similarity in performance. 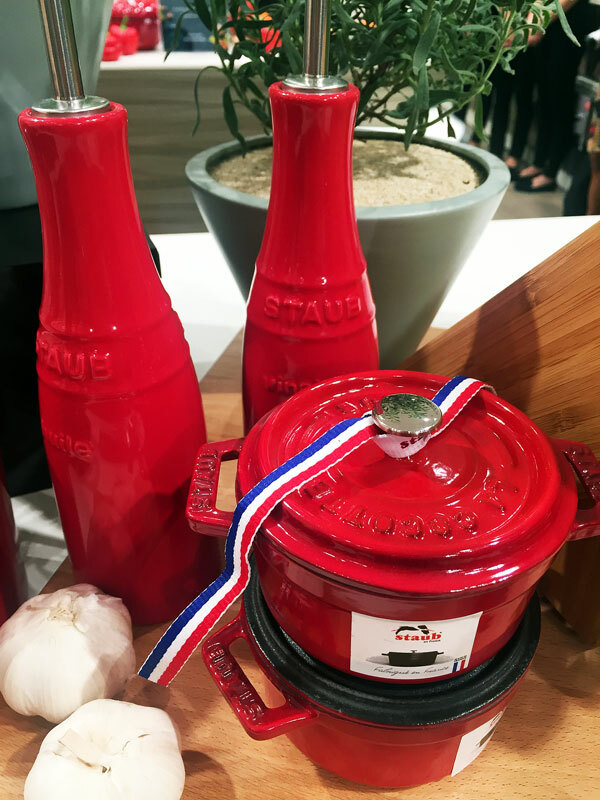 Staub edges over Le Creuset price-wise because it's cheaper. The self-basting spikes underneath Staub's lids makes it a wiser option, too. The food is cooked evenly because of those spikes, and keeps the 'em moist and tender! 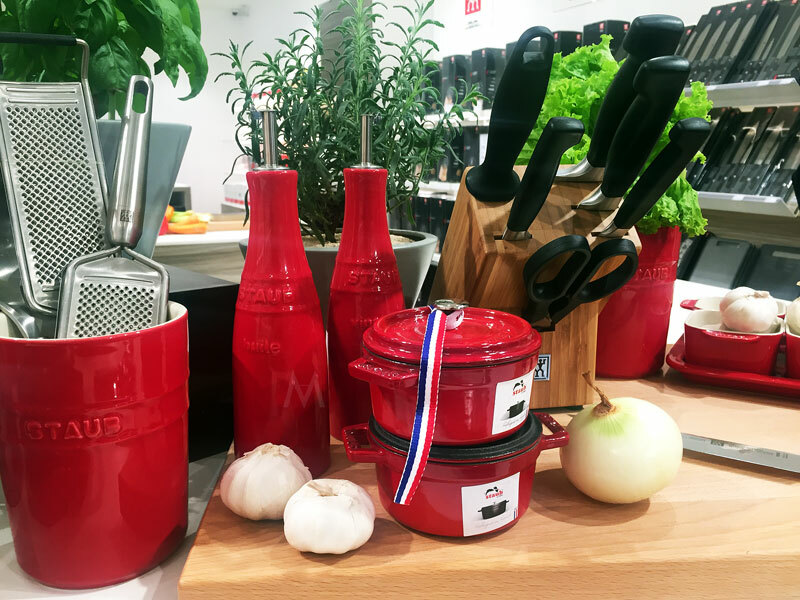 Zwilling fans - and everyone else who value quality - do check out Zwilling J.A. Henckels' store at SM Megamall. It's a test of wills, I tell you!